WARSAW, January 14. /TASS/. 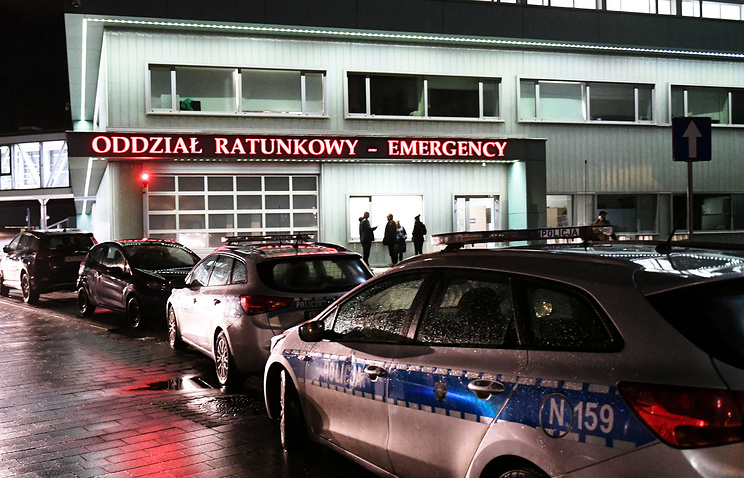 A man who stabbed Pawel Adamowicz, the mayor of the Polish city of Gdansk, is mentally ill, the country’s Deputy Interior Minister Jaroslaw Zielinski said at a briefing on Monday. "Gdansk’s [police] commandant told me that the attacker had been diagnosed with mental disorders," he said. The attacker was detained, the prosecution plans to question him later in the day. According to earlier reports, the young man has a record of bank robberies and was released from prison several weeks ago. After stabbing the Gdansk mayor during a charity concert, he shouted from the stage that he had been convicted wrongfully, and put the blame on the Civic Platform political party, which ruled the country until 2015. The incident took place during an event organized by the Great Orchestra of Christmas Charity, which was aimed at raising funds for medical facilities. 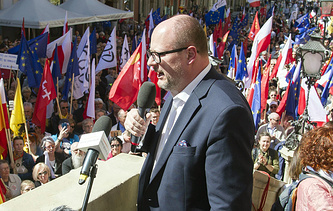 While Adamowicz was on stage, a man came up to him and stabbed him several times. The 53-year-old mayor was hospitalized with serious injuries to the heart, diaphragm and abdomen. He had to undergo a five-hour surgery and is currently in an intensive care unit in critical condition.